If you love tea . 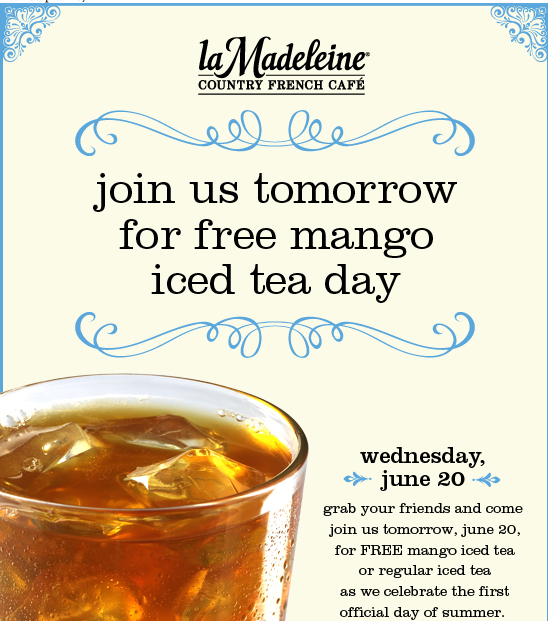 . . and FREE like I do, then you'll want to stop in at La Madeleine today and get your FREE mango iced tea.